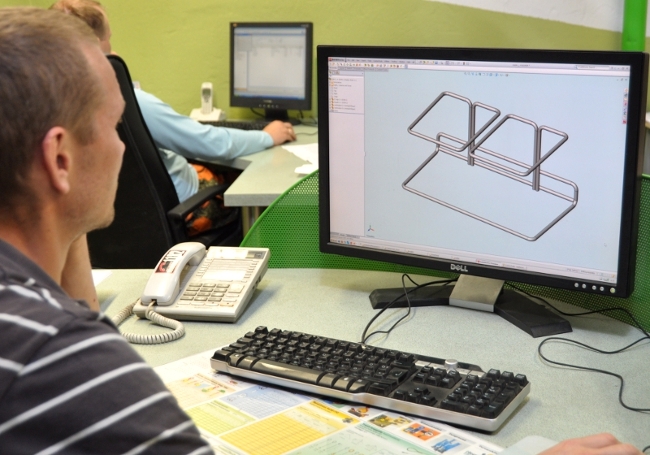 We begin product design by using the product development software Solid Works to create an electronic model which helps to evaluate the design and suitability of the product. Then we generate the necessary drawings. The economics software Microsoft Dynamics NAV provides us with the description of the product manufacture technology. With the help of the above-mentioned, we can quickly and with great precision manufacture jigs on modern CNC-controlled workmachines and then start introducing the product. We also manufacture product samples upon request.